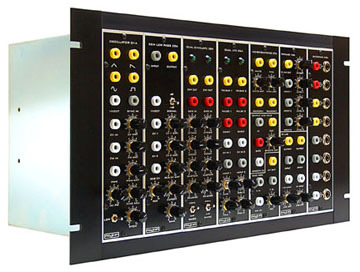 A Series Chassis design can be used in a standard 19" rack (shown above) or bolted together for free standing cabinets of unlimited size. Wood can be screwed to the ends (from inside) to finish. 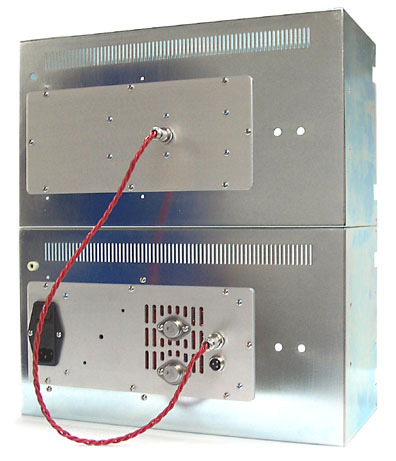 Advantages of an enclosed steel cabinet, Excellent RFI shielding and solid chassis grounding for the module panels. 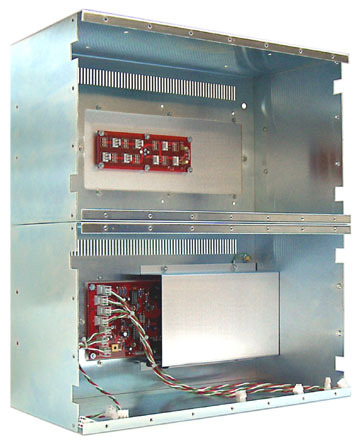 Rear view showing power supply and power distribution. 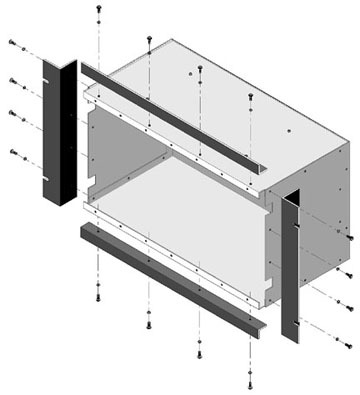 The drawing to the left shows the chassis box and optional rack mounting bracket installation.